To understand the popularity of Madeira, one must consider the geography, politics, and practicality of Madeira the wine, and the island. Zarco ‘the Cross-eyed’ (also known as, Zarco the Blue-eyed) – a sailor in the service of Henry the Navigator – discovered the island of Madeira in 1419. Zarco named the island, uninhabited at the time, ‘maderia’ which is Portuguese for ‘wooded,’ because of the incredibly dense foliage. (Hailman, p. 40) Zarco set the entire island on fire, which is said to have burned for seven years. Located 400 miles due west of Casablanca, Morocco, Madeira is one of the autonomous regions of Portugal today. Trade winds made the island of Madeira a key stopping point for ships bound for the American colonies. Since the island of Madeira was considered part of Africa, Madeira wines were exempt from the heavy taxes levied by Charles II on French wines bound for the colonies. One could argue that avoiding taxes levied by the British crown by drinking Madeira was an expression of independence for the colonies (i.e. – a revolutionary example of sticking to ‘the man’). Aside from the politics, Madeira, may have been ideally suited for 18th century travel – sea voyages were long, rough and hot. Being in barrel, sloshing around in the intense heat of a ships hold seemed to favor the fortified wine. 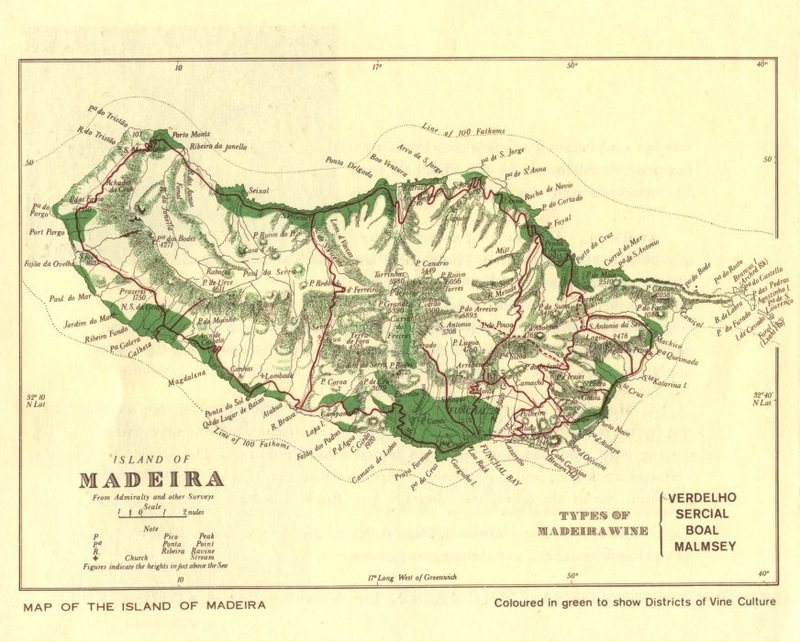 As with other articles in this series, this post provides a cursory treatment of Madeira in Jefferson’s time. 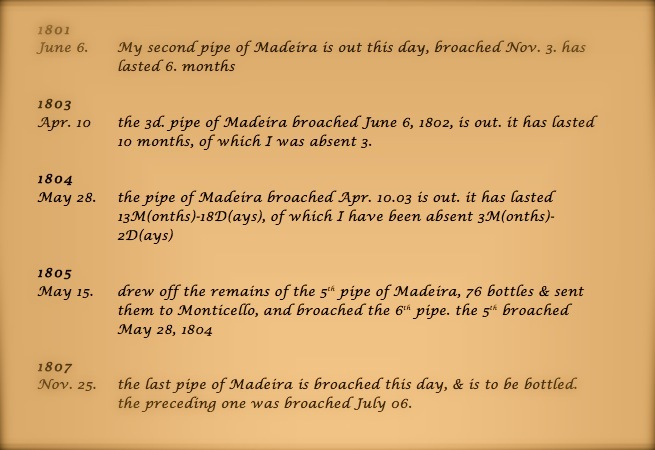 Madeira played a role leading up to the Revolution when the British seized John Hancock’s ship, the Liberty, on May 9, 1768 after unloading 25 pipes (~3,100 gallons) of Madeira. For a detailed study of Madeira and early trade, I highly recommend David Hancock’s book, Oceans of Wine: Madeira and the Emergence of American Trade and Taste.